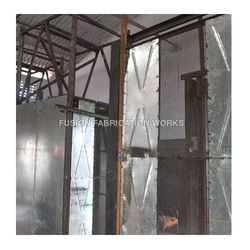 We are aces in manufacturing and supplying Hoist Doors that are widely used in industries for several applications. The door was installed in the inner part of the opening and the fabric were lifted to the upper side when opened, which takes up less room. 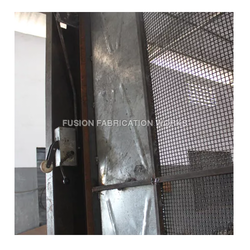 It is composed of door frame, guiding track, motive track (optional), door fabric, wind-resisting cross beams, beam frame, bottom beam, sealing system, driving system. We welcome queries for Storage Tanks & Fabrication Services from South India region like Dravida including Andhra Pradesh, Karnataka, Kerala and Tamil Nadu. Rope Guide Hoist Doors are having free and hanging movements around the wall. If it is overloaded then put a Double rail crab to operate it very easily. They have lots of Switching functions in both directions. 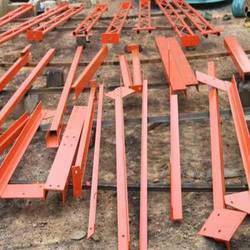 This cage is manufactured as per the necessity of the customers. Hoist Cage Door are having two kinda of lifts which are connected to each other and also a push button at the top to operate this cage. These lifts are offered with collapsible gate and are guided by supporting guide structure/members. Looking for Hoist Doors ?